Did you know that square buckets are much more efficient than round buckets when used as a container for hydroponic systems? This is because the square shape allows us to utilize the space more to grow the plants. If you are planning to use hydroponic system in your garden with square plastic containers, then you might want to check out these 3 gallon EZStor square buckets. 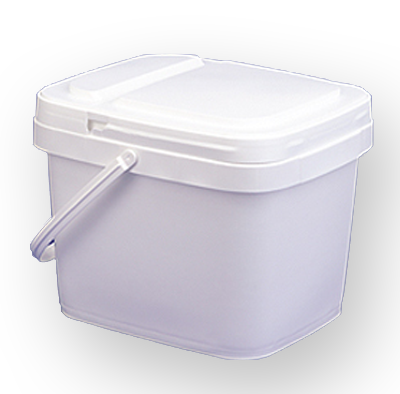 Our 3 gallon EZStor square pails are made of high quality plastic that won't break easily. They come with lids in case you want to utilize them as containers of something else than hydroponic system pots. The handle also makes it easier to move them around in order for the plants to get the best spot with enough sunshine. With the dimension of 9 15/16" wide x 12" long x 9 ¾" tall, you can use every space available to grow each hydroponic plant in it (a blog post on how to use square gallon pail in hydroponic system will come later). The 3 gallon EZStor square pails are sold in 6 packs, making you have enough containers for different types of hydroponic plants. If you are not into gardening, you can use the containers for keeping food products (the white pails are food grade and approved by FDA), tools, children toys and basically anything you want to store there. Click HERE to order now.